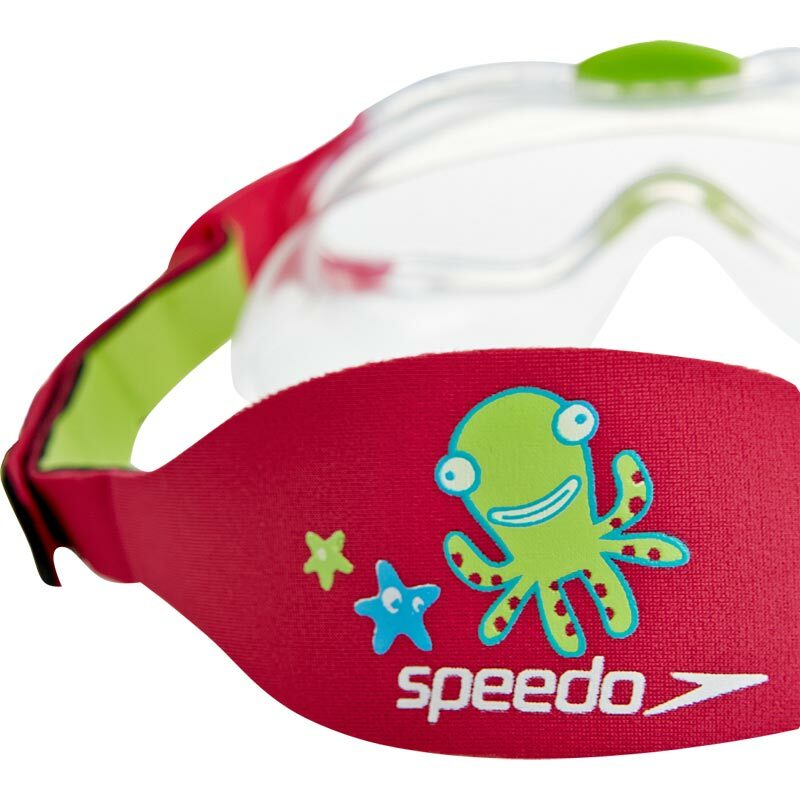 The Speedo ® Sea Squad Junior Swimming Mask is a great mask for little ones, allowing fun and learning in the pool. 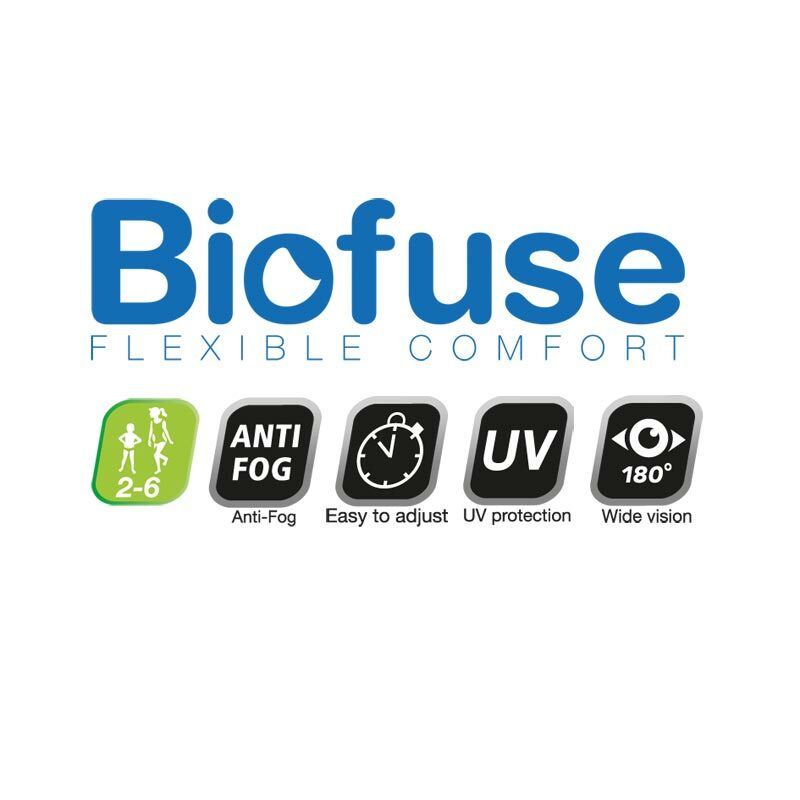 Large window lens with Anti-Fog technology allows young eyes clear and uninterrupted vision, while Speedo ® Biofuse technology ensures a super-soft, comfortable fit. 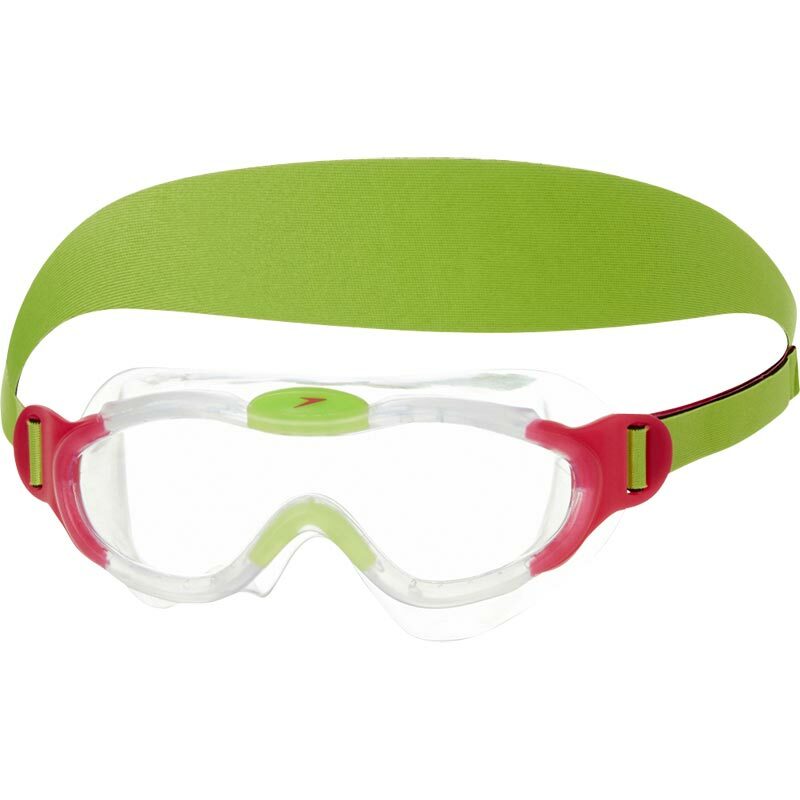 Soft neoprene strap for easy adjustment and UV protection to guard young eyes from the sun. 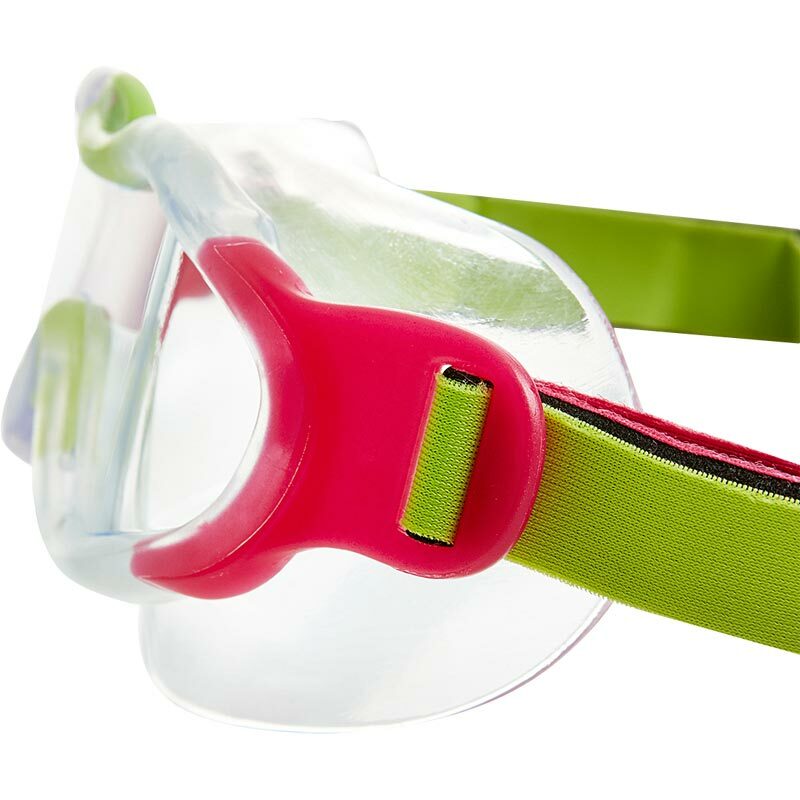 Swim mask suitable for children 2 – 6 years. Large window lens allows unrestricted vision. Anti-fog lens for clarity of vision. Features Speedo ® Biofuse technology for super-soft comfort and fit. Speedo ® Speed Fit technology for easy fit. Soft Neoprene strap for easy adjustment. Fun Speedo ® Sea Squad character design on reverse of strap. Composition: LENS: CP. SEAL: TPR. STRAP: NEOPRENE. Great googles for our 5yr old. The fabric head strap is so much easier for him to put on and be comfortable than the other plastic straps. My Granddaughter who is only three and has just started swimming loves them. Why do you need at least twenty words to say you like something"